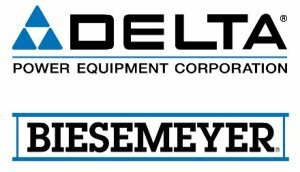 Anderson, SC – DELTA® Power Equipment Corporation's manufacturing, R&D, engineering and administrative facility continues to hit milestones with the transfer and installment of equipment and machinery from the Jackson, Tennessee location. The new location allows DELTA® to continue the Made in USA tradition of designing, manufacturing and marketing the world class UNISAW®, radial arm saws, line boring machines and BIESEMEYER® accessories. "Passion for this incredibly powerful brand, love of the industry and drive to innovate true, solution-based products and accessories for our loyal customers are some of the most essential values leading our decisions for facility development, team deployment and customer support," said Alicia Hicks, Marketing Manager for DELTA® Power Equipment Corporation. "We strive to reconnect those loyal emotions of the 'Old DELTA®' with the reality of this 'New DELTA®'. Our desire is to show woodworkers that the 'New DELTA®' in Anderson, South Carolina is something to be excited about. We are proud to be a part of this strong heritage of products Made in the USA and to continue the plans set in motion over 90 years ago with the first DELTA product: Fulfilling the American woodworker's dream." "Things are going well and we are on the schedule we set for ourselves when we closed the deal to purchase DELTA® from Stanley Black & Decker," said Bryan Whiffen, President and CEO of DELTA® Power Equipment Corporation. "Everyone at Stanley Black & Decker has been very helpful in smoothing the way for efficient transfer of equipment and data files, ensuring what we expect to be a seamless transition for our customers." DELTA® Power Equipment Corporation's management team has extensive power tool and woodworking equipment manufacturing, marketing and sales experience, and a proven track record of innovative product development and superior customer service that exceeds expectations. Just within the executive team, President and CEO Bryan Whiffen has 17 years of experience and Norm MacDonald, Executive Vice President and COO of Delta Power Equipment, has 20 years of experience. Management team members in marketing, sales, engineering, plant management, product sourcing and supply management bring the total to more than 135 years of combined experience. Anderson, SC – DELTA® Power Equipment Corporation has named Craig Walls as its National Sales Manager. DELTA® Power Equipment Corporation, a wholly-owned subsidiary of Chang Type Industrial Co. Ltd., a Taiwan-based manufacturing company (Taiwan Stock Exchange symbol: 1541.tw), recently completed the purchase of the DELTA® brand of woodworking equipment and machinery and BIESEMEYER® accessories from Stanley Black & Decker. "We are very pleased to have Craig Walls join our DELTA team as National Sales Manager," said Bryan Whiffen, President and CEO of DELTA® Power Equipment Corporation. "For Craig it's like coming home; with more than 30 years in the woodworking industry, 19 years of that experience was as a sales professional for DELTA® Woodworking Machinery when it was part of Pentair. With his vast history of the Delta of old, we anticipate strong, customer-centered results from Craig as he develops his team of expert Sales Managers, which is his first order of business." In his more than 25 years with ROCKWELL/DELTA Machinery, Craig held a number of positions within the organization, including Area Sales Manager for Chicago from 1987 to 1999 and Director of Regional Sales, Central Region from 2000 to 2005. Most recently, Craig was National Sales Manager for Montreal-based General International, a manufacturer of woodworking and metalworking equipment. Craig and his family currently reside in Murfreesboro, TN but will be relocating to Anderson, SC in the near future.